A proud new owner of the Bino and Fino DVD! Love the hairstyle she’s rocking. 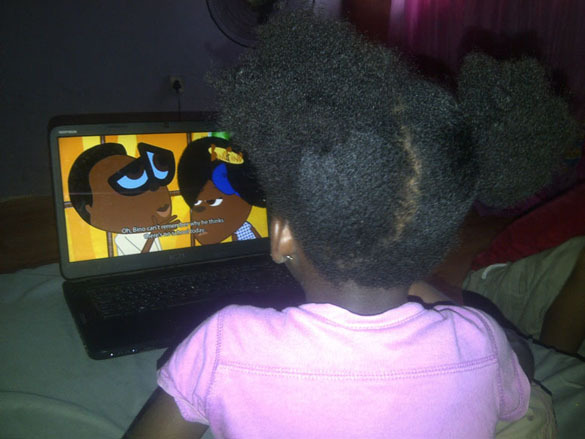 It’s like Fino’s afro puffs! Posted on April 16, 2013 by Adamu Waziri and filed under Fun Stuff and tagged african cartoon characters.